A study into olive oil in France by consumer fraud office la Direction Générale de la Concurrence, de la Consommation et de la Répression des Fraudes (DGCCRF), published on Friday September 21, found widespread fraud among olive oil sellers on shelves across the country. In 2016, almost half of all olive oils were not as they were described on their labels, the DGCCRF said. In a press release, the office explained that of 139 samples of olive oil tested in 2016, “one in four were declared as ‘to watch out for’, and 67 (48%) were declared as not conforming to regulations”. The most common issue was incorrect labelling, which gave the impression that the oils were of a higher quality than they really were. The DGCCRF said: “In the majority, [we are talking about] foreign olive oils with quality defects that have caused us to reclassify them into a lower quality level of product." It added that “five oils that were analysed had been falsified with the addition of sunflower oil or rapeseed oil”. Of the oil producers tested, 17 were given legal warnings for “labelling errors”, 39 were handed injunctions for “not conforming to labelling laws”, and 71 were formally warned for “non-compliant labelling”. Of these, some were also apprehended for making reference to “organic production methods” when this was not the case, e.g. pretending an oil was organic when it was not; and others were warned about falsely using the “logo for Appellation d’Origine Protégée (AOP)”. A statement by the DGCCRF read: “The level of non-conformity is still at a very high level in the olive oil industry and has been for years." 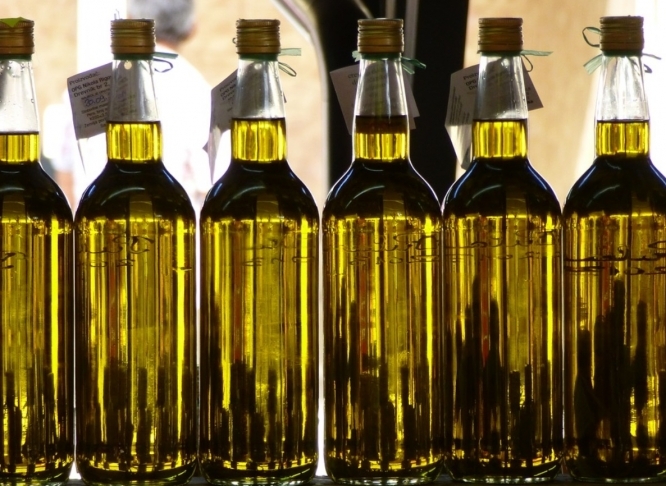 It concluded that labelling and communication on the origins of olive oils and extra virgin olive oils should continue to be imposed by regulation and that its regular checks were “entirely justified”.